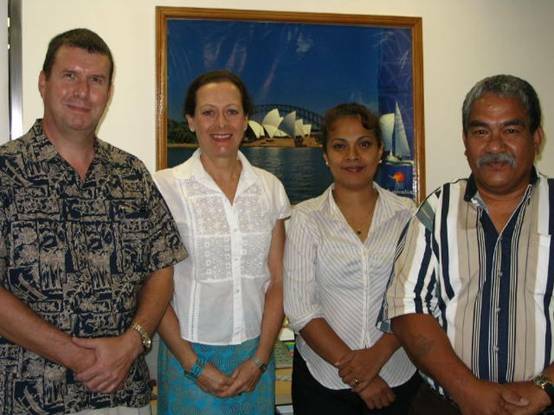 The Office of the National Public Auditor (ONPA) has received a grant from AusAID of USD$12,200.00 to enable their two fraud investigators to undertake graduate studies by distance education in the field of fraud investigation with Charles Sturt University in Australia . The entire course of study will be conducted by distance education which will enable both investigators to remain active at their work within FSM whilst pursuing their studies, with the exception of one residential program to be conducted at the University's Bathurst Campus in Australia . Established under the FSM Constitution, ONPA is empowered to inspect and audit every department and statutory authority of the national government. Within the ONPA, the Compliance Investigation Division (CID), investigates financial mismanagement and abuse involving national funds. The CID also has the extended authority and capacity to investigate financial crime and financial corruption. Already skilled investigators in their own right, the additional training Ms. Sophia Pretrick and Mr. Fletcher Poll will undertake with Charles Sturt University only will enhance their investigative capacity. The CID investigators will also be c losely involved in the development and execution of fraud prevention training programs for FSM government officials that the OPNA intends to develop and deliver over the next year. In 1995, AusAID's Policy and Management Reform Fund was established based on the widely accepted recognition that sustainable development is best achieved against a background of appropriate economic policy settings that are implemented through an efficient and effective public sector . Australian Ambassador, H.E. Corinne Tomkinson pictured with (L-R) Mr. Nigel Savidge, ONPA Adviser-White Collar Crime Investigation and Review; and Ms. Sophia Pretrick & Mr. Fletcher Poll, CID investigators.